Retailers constantly search for innovative ways to target customers, and technology is an increasingly popular and critical vehicle many are leveraging to break through the clutter. Retailers that want to create stronger bonds with consumers are bringing new technology and practices into the stores to do it. As consumers continue to extend their Internet connectivity beyond home computing, via tablets and mobile devices, retailers too, are broadening the way they reach customers through digital receipts. 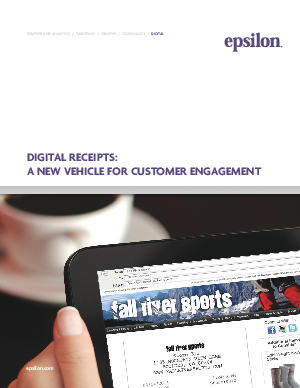 By providing an email address, consumers can opt to have their receipts sent to their inbox. Learn how this simple innovation of the digital receipt opens up a plethora of ways to interact with the consumer.